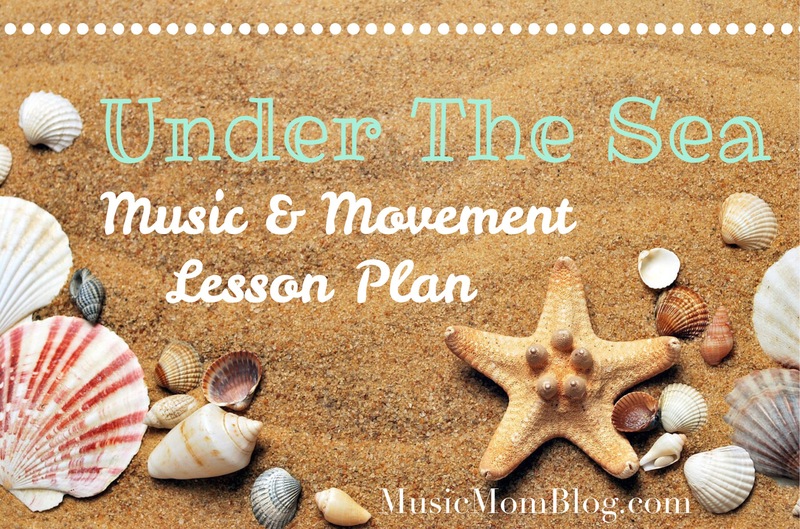 This week’s music and movement lesson is on the theme Under The Sea. I’m pretty sure the first thing that comes to all of our minds is of Sebastian the crab singing “Under The Sea” in his Jamaican accent. In this theme, there are so many different songs and resources you could choose from. But Super Simple Songs are honestly my favourite. Their songs are of a high standard and are structured very simply, logically and clearly in the progression of the lyrics. Their videos that go along with their songs are just so inviting and wholesome. Children seem to learn Super Simple Songs easily. Go and check out their YouTube channel and be sure to subscribe. You won’t be sorry. You will find many songs that you will love to use. Find a few different pictures or toys of sea creatures. Bring along a portable instrument or even a few different ones (if you have) for the Musical Principle Activity. This could be a recorder, mouth organ, ukulele or guitar. Familiarise yourself with the songs prior to the class. Bring along small percussion instruments for the children to use, such as small drums, maracas or bells for the Instrumental Activity. Use 2 or 3 simple songs for every lesson just to help the children feel familiar and confident. You can use a parachute that all the children hold onto in a circle in different ways for each song. It’s okay too if you do not have a parachute – you may use a big colourful blanket or none at all. Introduce the Under The Sea theme using toys or pictures you found of different sea creatures. Ask the children to name some of the creatures you show them. “A Sailor Went To Sea” Super Simple Songs – Act out the song! Pretend you all are sailors going to sea to see what you can see in the sea. Use the cues from the song to act out each different shark and action. Explain what dynamics are: How loud or soft the note that is being played sounds. Use the portable instrument(s) that you brought to demonstrate loud and soft playing. Teach the children that the real musical name for loud is forte and the real musical name for soft is piano. You may add that these words are Italian – a different language in the world that is used in musical terms. Now it’s time to practice playing loudly and softly! Call out to the children to play softly and then loudly on their percussion instruments, so that they understand the concept of soft and loud. Emphasize also that when they play loudly, it doesn’t necessarily mean to play fast and vice versa – when they play softly it doesn’t mean play slowly. If you like, you may even show the children a picture of Alan Menken and explain that he is a composer and it is his job is to write songs for movies. You could even show a picture of The Little Mermaid. Play percussion instruments to the song. You can decide if the children should sit or stand for this activity. You can try to imitate different sea life movements as you play – play like jellyfish, or like a whale, shark or octopus. Also point out all the different instruments that can be heard during the song. If you like, you could do “Baby Shark” again. Remind the children to be super careful while swimming in the sea! They should not swim out too far out by themselves. Teach the children to be kind to the environment; never ever throw litter on the beach as the litter can harm sea life. Magnificent, Cami! All our love! Dad.